Polypropylene container trolleys with removable containers. 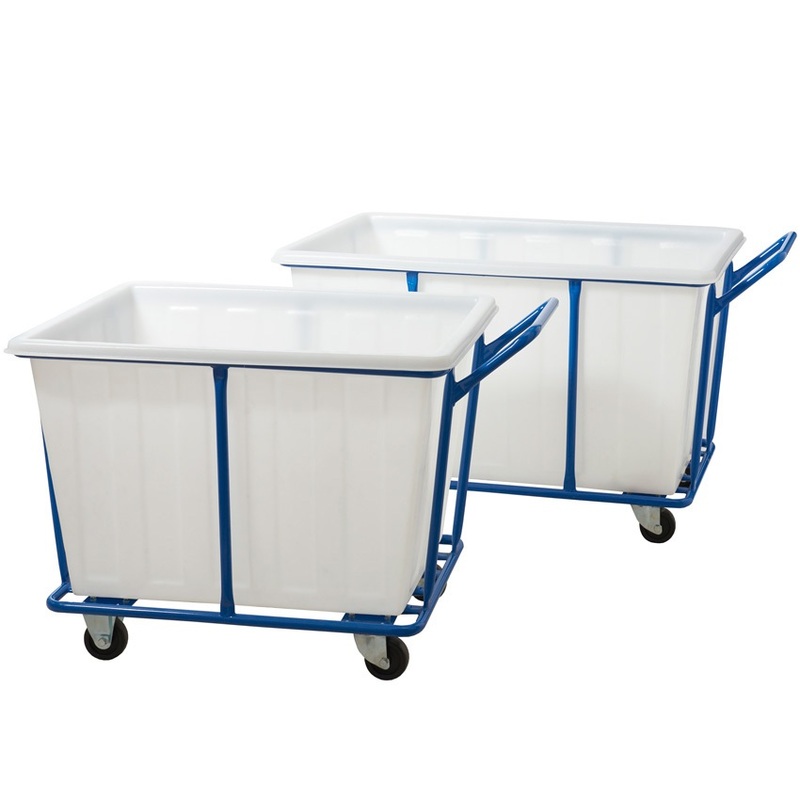 In any work environment where employee efficiency is essential container trolleys are a must have piece of equipment and the potential applications of these trolleys are endless. Whether you're using these trolleys to transport towels in a hotel, remove waste in a factory, dispose of empty bottles in a bar or something else entirely container trolleys are capable of doing the lot. These polypropylene container trolleys feature two separate parts, the removable polypropylene container and the frame / base. The white removable containers are available in two different sizes, the PCI08Y has a capacity of 250 litres while the larger PCI09Y has a 350 litre capacity. The trolley frame is fitted with a push / pull handle and fixed to 4 wheels, 2 fixed and 2 swivel. Not only does the base allow user to transport the contents significant distances with ease but the rubber wheels fitted to each frame also help to minimise any noise the trolley may generate.